Welcome to "The Laughing Pear Experience" where each and every menu item is custom made from scratch and only the best of ingredients are used. All our ingredients are sourced from only the top farms and distributors from across America and from around the world. 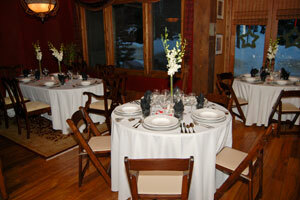 Everything is provided through us at The Laughing Pear: service, chefs, linens, menu, china, glassware… the list goes on. We are branded on a 5 Star 5 Diamond brand and have menus from the most elaborate to the best in comfort foods. No matter what your budget we will find a menu that works for you and your family! I look forward to going over our event packages with you and I, as the owner of The Laughing Pear Group, will personally ensure that your experience is truly anything but ordinary! The Laughing Pear offers exclusive menus created around your vision, your taste, and your budget. A consultation can be scheduled today by contacting Chef David Kratky at the 435.671.2351 or chefdave@thelaughingpear.com. Both our comfort foods menu and are fine dining menu are available at your request. Chef Dave, as well, can personalize a menu for you and you alone. Many thanks! All of our menus are custom made around your vision for your event. From a buffet to an 8 course tasting menu, The Laughing Pear Group does it all leaving you with the comfort of knowing you created an experience of a life time, for you, family, and friends that they will never forget! With this option, we set up a consultation around your schedule to create your menu. Chef David Kratky will build a menu around your guests to create a beautiful sit down 5 star/5 diamond experience complete with china, glassware, linens and every item that goes along with the perfect evening. We offer 3 course to 8 course tasting menus. In this option, we set up a consultation around your schedule to create your menu just as the option before. This menu is made to give guests a casual, yet still beautiful dinner experience.Your menu will encourage guests to stand and mingle, sit in the lounge area and have cocktails and Hor d’ Oeuvres, simply a comfortable, enjoyable atmosphere for any personality. This option is our unique option for the guests who likes to think outside of the box. Family Style events create that Laughing Pear experience and is always a great alternative to buffets. Each table receives their courses (1 to 6 courses) in large portions to be plate by guests. This give the guest the opportunity to try each dish prepared in the portion they choose. Family style comes with the option of bottomless, 1 refill or one plate. This option is exactly what it sounds with a 5 star flare. Beautifully prepared entrée or appetizer platters and boards are offered. The Laughing Pear can accommodate course buffets or serve the entire meal in several buffet lines for guest’s convenience. A rehearsal dinner is one of the most intimate events leading up to your wedding. Let us serve you today and give the perfect atmosphere before your wedding day. All may be provided for you by The Laughing Pear. This will be decided at your consultation. 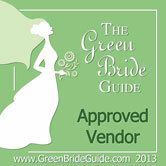 The Laughing Pear has amazing vendors we work with to help you in a wide range of bar needs. The Laughing Pear does Wedding Cakes that will astound you and your senses! Schedule a meeting with our very own, multi-talented chefs today. Not only can they cook, ice sculptures are one of our Chefs specialties. A 50% deposit is required 60 days prior to event. The Laughing Pear has a non refund policy 30 days prior to event on all deposits. Full payment is due the day of your event. We accept cash, checks, and do work through Pay - Pal to accept any other method of payment. Guest count is due 10 days prior to your event as well as any seating charts, special menu orders (vegetarian, allergies, etc). 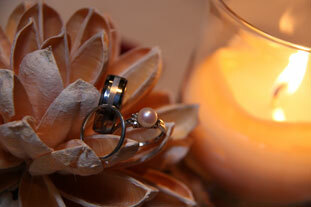 We here at The Laughing Pear Group understand you can have your wedding anywhere and at anyplace. We are a service that can come to you, whether in your home, your venue or your catering hall of choice, we can truly make your wedding the event that it should be! References are always available from guest who have shared in The Laughing Pear Experience already and would be more than happy to share their amazing stories with you. We are a family owned business and a Chef driven company. We love what we do and want to pass that love, passion and appreciation for fine fare and service off to you. We truly hope to hear from you in the near future. *All services are included in your total bill making payment easy and stress free. The Laughing Pear will do all of the work for you so you can enjoy yourself. *All pricing is based upon course and menu selection. Price can be negotiated based upon quality of product, NOT quality of service.